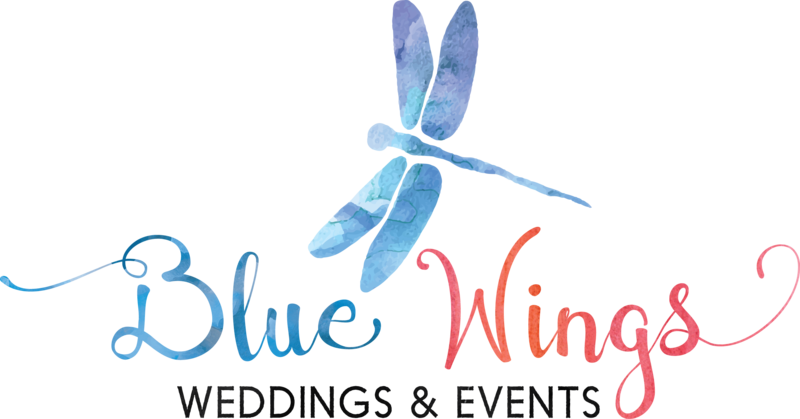 I decided it was time for a look into who I am as a wedding planner, event coordinator and my family life and more importantly how Blue Wings Events came to be. I am the sole owner of Blue Wings Events, LLC I’ve been married to my amazing husband Mark since 1986, yes that’s a lot of years!! Our family includes a son, who is now married and a daughter who has a serious boyfriend. These days it’s just Mark and I working from home with our dog, Sam and a grocery list that permanently has Jameson Whiskey on it. Weekdays during the summer if you call me, you will get a text sometimes saying I’m unavailable as I’m out fishing with my dad. Family time is important to me and I try and balance my planner/family life just like everyone else. Growing up I never dreamed about weddings, but I should have taken a hint at our own wedding when the priest opened the wedding saying. “this was the most well planned and organized wedding I’ve ever been part of.” Plus I invented FFF (Forced Family Fun) events that our very large extended family was force to do over the past 20 years. They learned why they were called Forced and they always ended with FUN, so ask me about them and I will tell you how to start your own. I established my business in 2016 after leaving the corporate life of sales and corporate planning and taking time to go back to school to learn to be an entrepreneur. Yes, at 50 I went back to school and it is much easier with life experience!! But sitting next to a teenager in a customer service class…oh I have stories. So, if you are thinking of going back to school and think you are too old, you can teach an old dog new tricks. I even attended an event planner’s conference in Las Vegas to further my education and was told by a planner to the rich and famous that I was considered an expert planner with my experience. Talk about making me feel confident!! So while planning events does come easy to me with 18 years of experience, these past two years I’ve really focused my growth and understanding of weddings on the emotional support the couple and parents both need. I believe in what weddings represent and while most of my couples have crazy demanding jobs, their time is very limited. So being that third party in the moments when a counselor and calming presence is needed, in what can be an overwhelming time in their lives is really what they want and need. And to be honest sometimes actually why they hire me as their wedding planner. Nothing should be cookie cutter with wedding clients except the respect and warmth shown from myself or my staff. I’ve also worked hard to make sure the vendors I work with feel the same way too. Want to know what I’ve learned if you are planning a wedding, enjoy the moment. Be true to yourselves. If you want a big wedding, have it, if you want a wedding on the beach in January with a couple of guests, that’s okay too. I tell all couples, remember you can plan a party anytime, but the ceremony and your vows should be done once and they should be special. So take time to really make that time a magical moment for just the two of you. Hire someone that can really help you write your vows, then spend 10 minutes alone to cry and laugh and giggle over the secret words lovers should have with each other, then let me throw you a party! People always ask me which do I like better, corporate events or wedding planning. I like both. Weddings are emotional; happy, sad, frustrating, joyous and touched to tears. Corporate events are professional and clearly defined where protocol is a must. This falls right into where I’m trying to make sure Blue Wings Events stays focused, utilizing both types of skills to make us a better company. A corporate client needs my connections and quick thinking that comes with working weddings. While our wedding clients want my professionalism and OCD tendency with the timelines because that’s a must with corporate clients. So Blue Wings Events is both a Wedding and a Corporate planning company and our team is good at both. I’m also working on my Networking and Protocol sessions so if your current employer is looking to help the younger associates with some training on how to network and act with a diverse group of people, check out my other site here. Soon I will write a post explaining the other questions about the name, Blue Wings Events and our dragon fly logo.